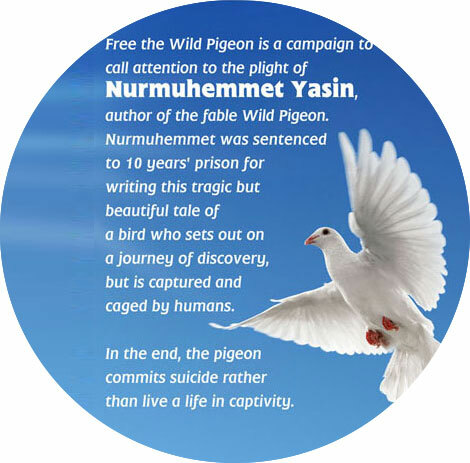 The author of the “Wild Pigeon” – Numuhammet Yasin – is still kept in a Chinese prison since 2004. I recently found an old newspaper dating back to 1992, in which our poems were published in the same column. But I am free and my colleague is in prison. I was at university in the same year as Ilham Tohti, and until few months before his arrest, we kept email exchange. Now he is sentenced to life imprisonment, but I am free. A have an old friend from the same hometown, his name is Omerjan Hasan Bozqir, who was a translator, commentator and web master of an Uyghur language website “Bozqir”. For many years I regularly published my poems and other literary articles in his website, keeping in close contact with him until before his website was blocked and he was arrested in July 2016. Now his fate is unknown, but I am free. Everyone single Uyghur in exile today can tell a similar story of lost and disappeared friends. This is a time of crisis for the Uyghur people. Since Xi Jinping has tightened his control of China with new forms of authoritarianism, in East Turkistan, hundreds of other unknown Uyghur writers, journalists, translators, web masters and academics and many other intellectuals have been arrested. The scale of arrests is unprecedented since East Turkistan was occupied by Communist China in 1949. Now the entire Uyghur community is facing harsh controls, and every aspect of their daily lives are affected by the current campaigns, which pretend to tackle ‘religious extremism’ but actually aim to deny Uyghurs’ basic rights of expression of religious and cultural identity. As Uyghur writers living in the free world, we struggle to respond to this level of repression and violence in our homeland, in the face of apathy and indifference from the international community. But we continue trying to use our pens not the sword, to bring love but not to breed hate, and to find common ground in sympathy. We defend the imprisoned Uyghur writers’ rights in East Turkistan within our capacity. We continue to believe that love is stronger than hate! 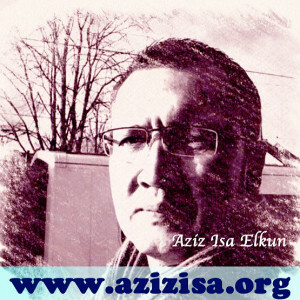 As Uyghur writers in exile, we call on all our PEN friends to support us and work with us in these challenging times. We particularly invite PEN colleagues and friends of Independent Chinese PEN, and Tibet PEN to open dialogue, to find common ground for the good of all of us. Finally, I would like to take this opportunity to express my gratitude to the Swedish, Uyghur, Tibetan and Independent Chinese PEN who have organized this wonderful conference for us.